Thank you to everyone who participated in the 20th Native Plant Distribution. It was a cold and snowy day, but a great success! SWC gave away over 10,700 trees to landowners across the region. We had 143 requests, with 25% coming from new participants. 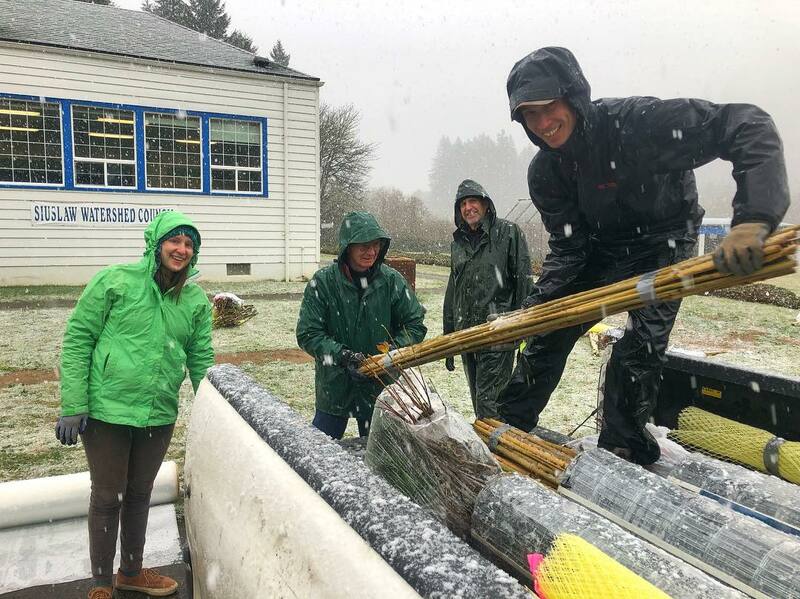 NPD is made possible by grants and donations from Roseburg Resources, USFS Coast Range Stewardship Fund, the Bureau of Land Management, and dozens of volunteers!